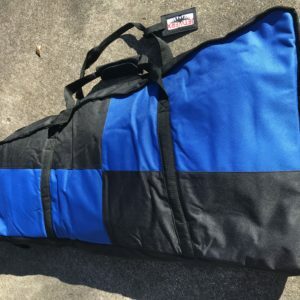 Free nylon, zippered wing bag with purchase. A $69.00 value. 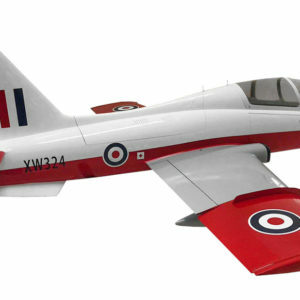 RC Jetwerx would like to introduce to you the next level of Plug n’ Play Performance with this Adrenalin RC MB-339 Composite Jet! 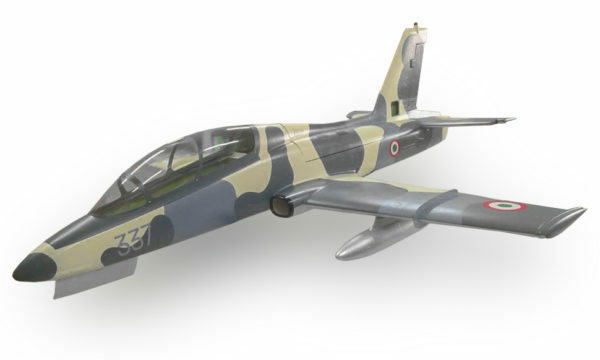 This MB-339 takes PNP to an all new level! Constructed of extremely light and strong Airex Composite material, we are able to ad extreme scale details on the surface with the rivet lines, individual rivets and panel lines. For the first time, a Turbine Ready, composite PNP in this high of caliber is available. All the servos, control linkages, hardware are installed and centered right out of the box! Our version includes upgrade servos that are HV Aluminum cased, metal gear Ultra High Torque and High Speed Digital servos that out performs the standard package servos by far with better precision, more efficiency and of course much improved strength and reliability! Our MB-339 also includes LED Navigation lights installed and this is exclusive to this version. 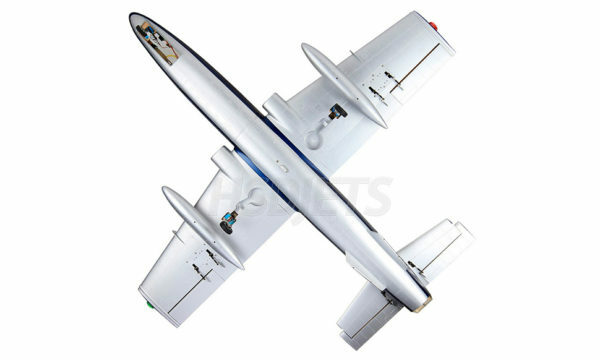 Heavy duty electric retract landing gear with suspension and beautiful wheels with electric brakes are also installed! The 75oz fuel tank system is also installed and plumbed. Engine is ready for your 80kg to 140kg turbine! 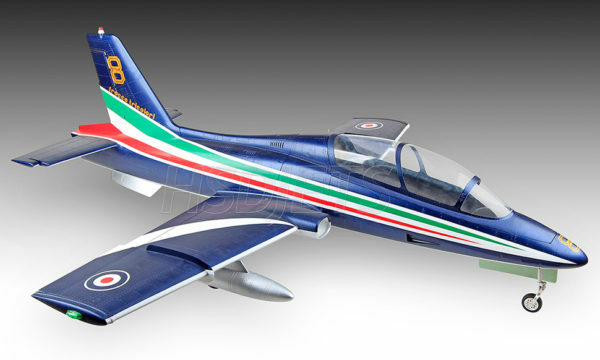 If there ever is a so called easiest Jet to fly, the MB-339 would be one of the top choices. 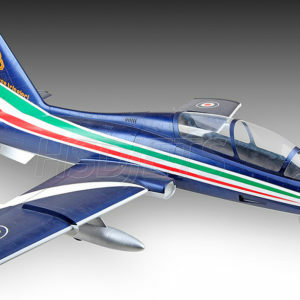 The Aermacchi was designed as a jet trainer and still used for multi aircraft air show displays. 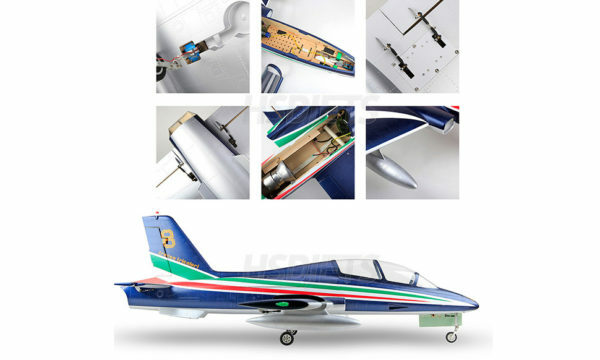 The forgiving overall flight performance allows for a wide flight envelope from low and slow to advanced aerobatics tracking like a race car with wings! This MB-339 is available in 3 color scheme choices and has taken all the guess work out of building a turbine aircraft from individual parts. Quick building and more time for flying! 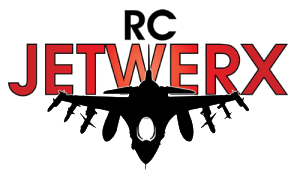 You will need your own radio system, avionics batteries, fuel, fueling system and your own choice of Turbine Engine. 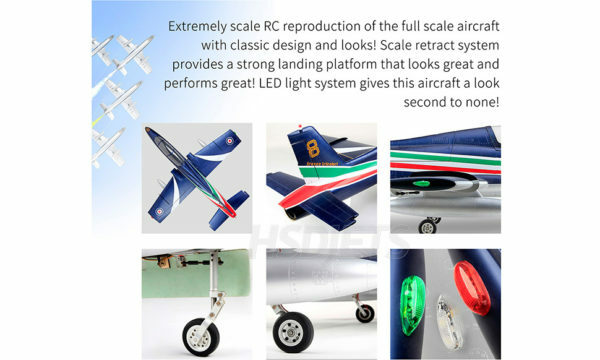 Get ready for the Adrenalin RC MB-339!